What is the definition of the term "whale" as it applies to the game of poker? 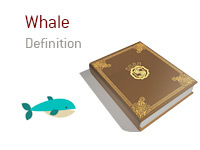 What is meant by the term "whale"? In poker, a "whale" is a wealthy person who is not a very strong player. It is the dream of every poker player to have a "whale" sit down at their table, as this means that there is a very good opportunity for the strong players at the table to win some serious money. "Whales" don't have bankroll concerns, so they have no problem re-buying and getting all of their money in with subpar hands. "Whales" will have no problem getting all of their money in with baby flush draws and second pairs against strong players, as they usually love to gamble. Let's say that you are playing in a $5/$10 No Limit Hold'em game at your local casino. 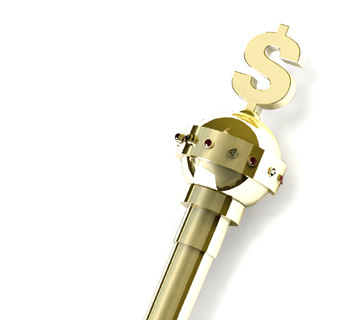 One of the regulars is a player who made a fortune by selling their Internet company. This player is not very good and plays exclusively for fun. There will always be a long line to sit at the table when this "whale" sits - as soon as he leaves, the game will quickly break. This "whale" will usually blow between $10k - $20k at the tables before leaving. He doesn't care about the money, as he essentially has a bottomless bankroll due to the sale of his business.